I absolutly love the Fall season! 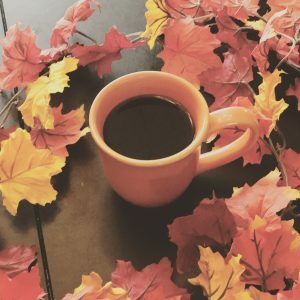 In the years past, I drank many pumpkin spice lattes from well known coffee companies. A few years ago, I began to strictly limit my sugar intake and then those drinks were no longer a good health choice for me. At that point I went searching for alternatives. I tried ground pumpkin spice coffee from the local TJ Maxx and that sufficed for a while. But as my coffee palate Â improved, I just can’t drink ground coffee, especially stale, ground coffee. 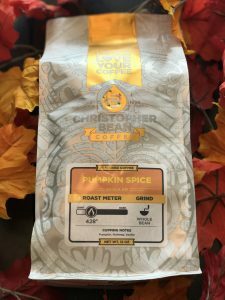 When Christopher Bean Coffee Â reached out and asked me to try their whole bean, freshly roasted Pumpkin Spice coffee, I was elated! Everyday I anxiously checked the mail waiting for it to arrive and that day finally came. 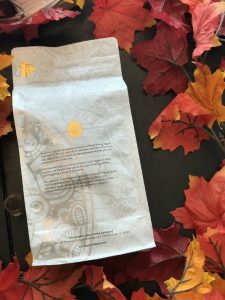 When I opened the bag, the freshness of the coffee was the first thing I noticed and then the pumpkin spice aroma. This made me wonder how strong the flavor would be? While I appreciate fresh coffee, I was also looking forward to the pumpkin spice flavor coming through. I ground the beans and then brewed up a pot in my beloved Bonavita Coffee Maker. I pulled out my orange coffee mug for this special occasion and decided to try it black for the first taste. The quality of the coffee was the first thing I noticed. Following Â that were the spices and then the pumpkin taste coming though in a medium bodied way. Just perfect I thought, not too little and not too much, never loosing the depth of the roast. My second cup, I added a bit of cream and stevia. When I did so, my coffee transformed into a liquid pumpkin pie, it was heavenly! I loved it! What impressed me the most, was the presence of the freshly roasted coffee that always came through. Bottom line, this coffee is fresh and fantastic! Worth every penny and I’m going to be ordering more for sure! Because I loved it so much! 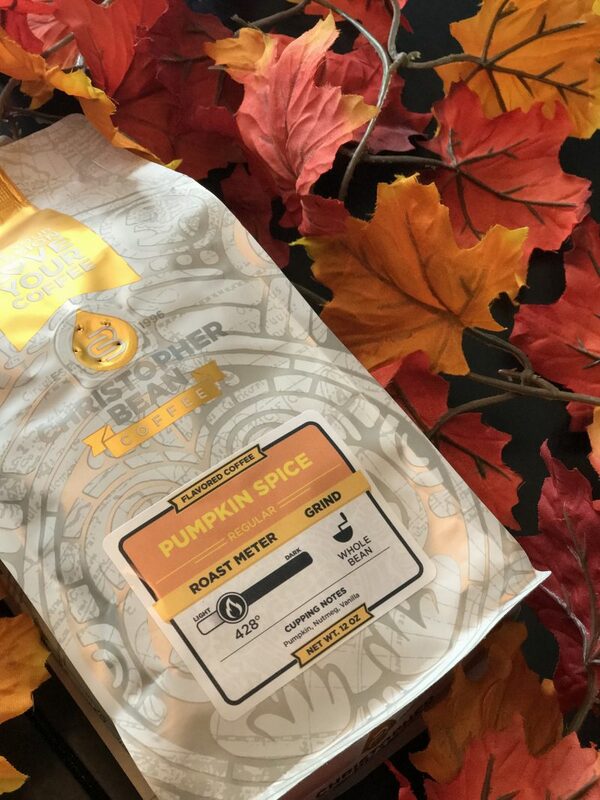 I won’t try the pumpkin spices drinks at most coffee places because they are too sweet with too much sugar, but this I would try! My neighbor would love this pumpkin coffee. He loves anything that has pumpkin in it. Awesome! Thanks for reading and share the post with him so he could win or use the promo code! SOOOO fun! thanks for the promo! This looks so, so perfect for fall! 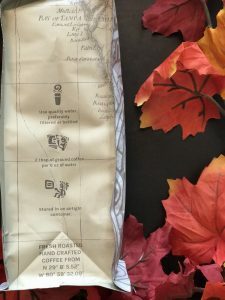 This is the kind of coffee that keeps me up at night excited for it to arrive. That is so true! Thanks for reading!